This journey reached a climax on 18 August 2018 when a team of 14 guys and a brave lady delivered 100 bikes to 100 school kids in Madikwe. 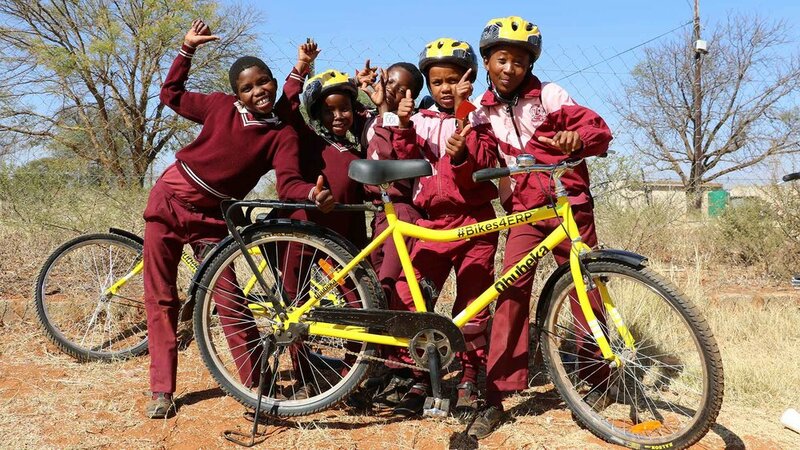 Bikes was purchased from Qhubeka and they sponsored the purchase with 50%. For each bicycle we bought, one was donated by Qhubeka. The #Bikes4ERP project distributes bicycles to students with the main aim to increase access to education. Students earn bicycles by entering into a “STUDY TO OWN” contract. If they use the bicycle to get to school for 2 years, then it becomes theirs. In the short term bicycles reduce children’s exhaustion from walking to school and lead to increased school attendance. 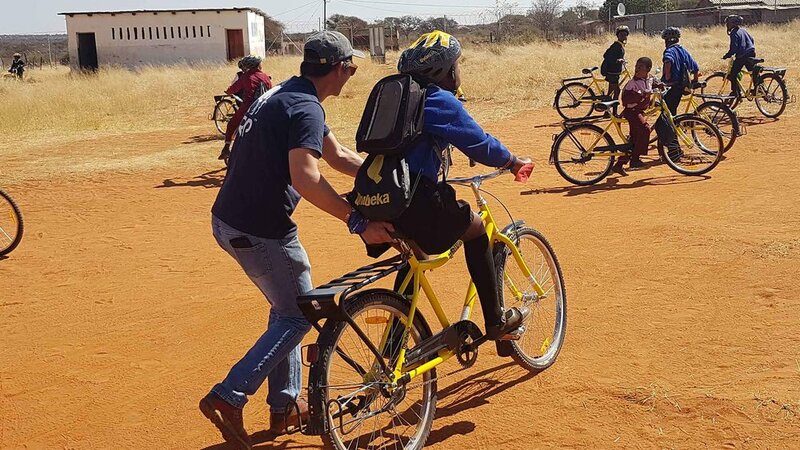 In the long run bicycles will help students to complete their education, preparing them for better jobs and thus reducing the likelihood of extreme poverty. The late president Nelson Mandela said that access to quality education is essential to ending the cycle of disease and poverty in Africa. The extent of the problem: Only 40% of South African students achieve a qualification higher than Grade 9, and half of children who enrol in Grade 1 will never pass Grade 12. With a bicycle, children can travel four times faster to school. They can cycle to water points to collect water and concentrate on their studies. They can complete their education, preparing them for better jobs and thus reducing the likelihood of extreme poverty. Thank you to all our sponsors that assist in transporting the 100 bycicles to Madikwe region. We were supplied with Volkswagen vehicles, insurance and trailers. The sponsors are Strijdom Park VW, Seikel, Bronko Trailers and Qhubeka.